On How They Operated The Airlines. 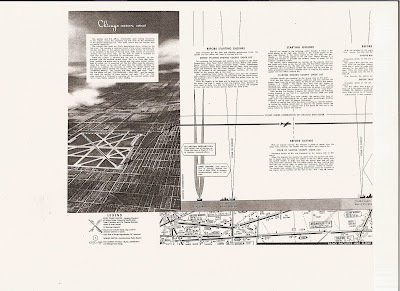 From the old lighted airways in existence in 1924, between Chicago and Cheyenne, Wyoming, The Civil Airways of the 50’s expanded into a vast network of interlacing airways, over 40, 000 miles in length in the 1950’s. The way the system was set up was to assure a smooth and safe flow of air traffic along the airways. The airways are designated by a color and number. The four color designations were GREEN, AMBER, Red, and BLUE, in order of their traffic priority. The number was assigned according to the geographical location of the airway. An aircraft flying along a Green airway has traffic priority over any aircraft on an AMBER or RED airway. An aircraft flying along an AMBER airway has priority over any aircraft on a RED or BLUE airway, but in turn must wait for a priority clearance. The first letters of the airways form the GARB which makes an easy way to remember the traffic priority. The GREEN and RED airways run east and west and the AMBER and BLUE run north and south. Some of the old lighted airway beacons were still in use at this time. They were actually started in 1924. They were located on tower structures between 50- 105 feet high. But in 1950 there 320 radio range beacons, or stations, located along the airways at intervals of approximately 100 or 200 miles. These were commonly referred to as the BEAM. These stations serve as the center line of an airway. 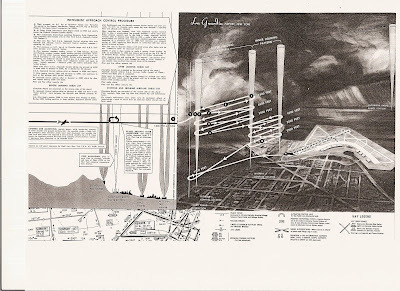 The legs of these stations are projected along the airways and make up the invisible radio highways along which all the controlled air traffic moves. In addition to their navigational function these stations also broadcast weather and other pertinent information. By 1950 the conventional radio range stations will be replaced by the new VHF Omni directional type radio range, which is still in use today. They estimated by 1955-56 the airways system would be complete with the new VHF Omni Range. The way air traffic was controlled back in the old days is quite an interesting method. To provide the pilots of the aircraft flying enroute along the airways with the latest weather, traffic and emergency information, there were over 400 airway communications stations. 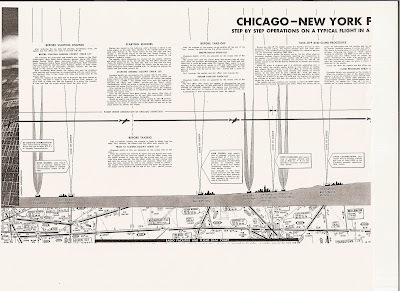 They were identified with names such as “Chicago Radio”, Dallas Radio”, “and New York Radio” These stations were spaced along the airways at intervals so they were able to provide current information. These stations were tied into a network of teletype circuit covering 220 weather reporting points. These stations also played a very important part in the control of traffic along the airways. Traffic instructions were relayed from the AIR TRAFFIC CONTROL CENTERS to the planes en route near the zone of control of each station. IN the same manner they act as the go between the pilots requesting a route change on his flight plan while enroute. They also took all the position reports were the crew calling their attitude, time of passing etc. These centers, referred to from their beginning as ATC, are the heart of the entire air traffic control system, REMEMBER we are talking about controlling many aircraft without the use of radar separation.. Quite an amazing feat when you think about it. These controllers kept traffic flowing efficiently and rapidly without collision…Well most of the time. 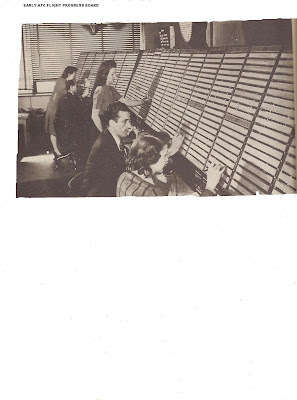 The flight progress board or frames as they were known back in the 50’s were the non radar controller’s eyes in the sky. Each three foot high vertical rack is called a “FIX” which is usually made up of 20 flight progress strips. So many fixes make up a “Sector” and so many sectors constitute a center. This huge board on which these strips were mounted runs the entire length of the room. Each of these fixes represents radio fixes, or airports along the airway. Each of the sectors is manned by a controller and 1 or 2 assistants who kept busy marking data on the individual strips, and telephoning or receiving calls from the control tower, airway communications stations, and the other agencies having or desiring pertinent flight information. It is amazing when you think of what air traffic control does in this day an age. Imagine this, the practiced eye of theses controllers watched the fixes and sectors enabling them to visualize the over all traffic situation ion their sector for as much as two hours ahead. Can you imagine the head ache you would have doing this? 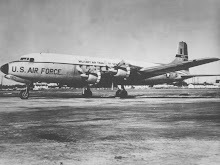 The flight strips were arranged in chronological order, starting at the bottom of the board with the first flight to arrive over a particular fix, the next flight in second position, and so on. The Flight Progress strip is a foot long, inch wide strip of brown paper that was divided into eight sections. 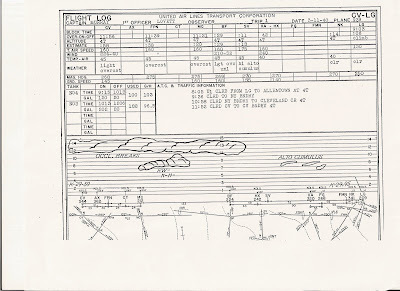 Each time ATC approves a flight plan one of these strips is initiated and the progress of the flight is recorded in pencil notations. The strip was inserted in a medal holder which is in turn affixed to its position on the “fix” or progress board mentioned above. 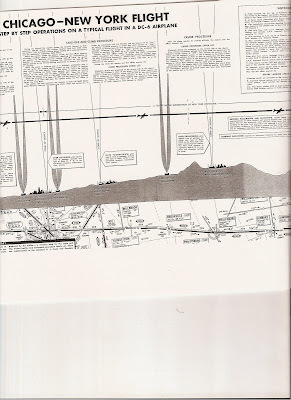 There was a strip for every flight along the route on an approved flight plan. Wow, these guys were really good! The Air Traffic Control Center had complete jurisdiction over the traffic flowing along its airways and within its designated area of control. 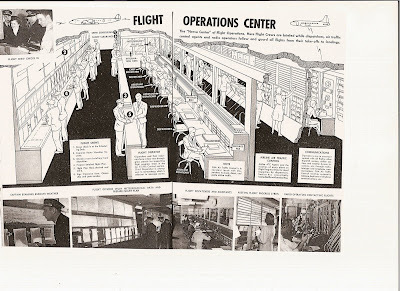 In 1950 the civil airways system was divided into 25 air traffic control areas. In the U.S. and Canada. For example, Boston ATC has jurisdiction over roughly 180 miles of airways and air space and handles all the traffic to a point 25 miles south west of Hartford, Conn. Here New York Air Traffic Control Center’s radius begins., and extends 25 miles beyond Philadelphia, where Washington Center takes over and has authority over traffic to within 25 miles of Florence, North Carolina. All of this was hooked up by telephone, teletype and radio channels connecting each center with one another. 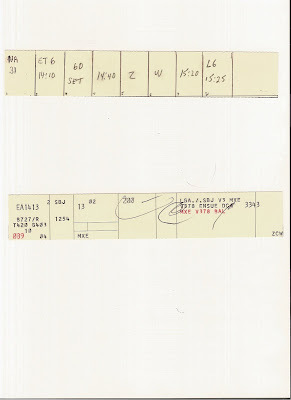 More than 50,000 miles of teletype circuits were used by ATC just for weather alone. Another 10,000 miles for controlling air traffic. Through the airway communications stations, company radio’s airport traffic control towers, military radios and airline traffic offices, ATC receives all of its pertinent information. 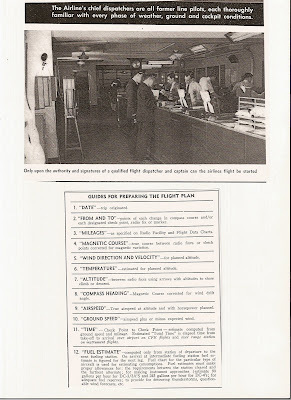 The First Officer prepares in triplicate and the Captain signs a Flight Plan for the flight, giving pertinent clearance and airway traffic control data, and the flight dispatcher or his authorized representative signs; the flight dispatch to his agreement with the entire flight plan; his representative to indicate that altitudes proposed are at or above the approved minimum. In preparing the flight plan the F/O follows the Captain’s instructions as to route, altitude to be flown, forecasted winds and temperature and alternate airports to be used. The original copy is taken on the flight for log use. Second copy is given to the Manager of Operations or Flight Dispatcher and a third copy is given to the stewardess. During the flight all Air to ground communications are confined to the exchange of information bearing directly on flight operations. They take priority over point to point contacts on any channel serving both. When reporting positions at this time the Flight Officer give the following. ATC requests or information, such as fuel or mechanical difficulties can also be given. It a required equipment item becomes unserviceable in flight, a landing must be made at the nearest safe, suitable landing area or at a point of the next intended landing, which ever the Captain or Flight Dispatcher decide is safest procedure. In order to indicate the conformity of the flight to its plan the Captain maintains a chronological written record of its progress. He enters in the flight log the weather encountered, the flights estimated time and actual time, to the nearest minute over all check points, direction flown, etc. The flight log provides a basis for computing factors which vary with time and depreciation and to give the maintenance department information on conditions of the aircraft, inspections and servicing. REMEMBER NO COMPUTERS ARE BEING USED! There are certain procedures that must be adhered to during the flight. To Change from Instrument to Contact Flight Rules. 1. Over a range station when weather permits making contact at or above the minimums. CRF altitude. 2. Enroute by attempting to break out of the overcast while remaining at or above minimum instrument altitude for the route portion. The Captain must ascend to and proceed at or above minimum instrument altitude after requesting and receiving ATC approval of a definite altitude, maintaining CFR until receipt of the altitude assignment. In an emergency situation, Captain ascends to and proceeds at or above minimum instrument altitude, immediately requesting ground station to notify Flight Dispatch and ATC for clearance. When a flight is unable to communicate with the airlines ground station and the ATC Clearance is needed the flight will obtain it from the CAA station. If the flight’s call to the airlines ground station is not answered then two more calls will be made at fifteen second intervals. If the three calls are unanswered the flight then calls another ground station in the sector, usually the station behind once only. If this procedure fails the flight will then be broadcast its report in the blind. The flight dispatch and sub dispatch offices initiate requests for the position report when a flight is 5 minutes over due at a check point. If it becomes apparent that a transmitter failure occurred, the Flight Dispatcher controlling the flight. (1). Advises the appropriate ATCC and (2) advises appropriate company stations to broadcast pertinent weather reports and altimeter settings and (3) have the appropriate range stations broadcast the above information. Quite Simple For The Time. Before leaving the minimum authorized cruising altitude on the starting an instrument approach the altimeters must be checked with and set to the latest figure at the station of the intended landing. During the initial approach on instruments or on top, Flight Officer may not descend below the specified minimum altitude for initial approach until arrival over the range station has been definitely proven. Except where approved landing minimums are 1000 feet ceiling and 2 miles visibility or better, The Captain after becoming in contact may not descend more than 50 feet below the specified landing ceiling, unless he is in the position to make a normal straight in approach to the proper runway and can plainly see the near end of the runway and approach lights or other approved identification marks leading to the runway. Flight Officers when CFR are required to make an in range report ten minutes prior to intended landing or at required Position Over Report. (POR). Flights my not let down through heavy icing conditions nor through heavy icing conditions nor through moderate icing conditions unless the weather conditions are 800-2 900-1 ½ or 1000-1 or better, nor in freezing rain, sleet or moderate or heavy freezing drizzle. Or moderate or heavy wet snow. The Captain, F/O and Stewardess personally sign a Flight Report for each flight. It sets forth information concerning the flights date, route, type, ramp arrival and departure, ;landing and take off times. (Time wheels touch or leave the ground) gasoline and oil carried and total flying time together with pertinent remarks. 1. Any difficulties encountered during the flight and noting itemized troubles under appropriate headings describing the difficulty or malfunctioning as fully as possible and if apparent, giving the cause. 2. Engine readings giving all readings: After engines are synchronized in level flight the tachometer and manifold pressure readings are entered. Space is provided for entering engine cruise readings and any engine malfunctions. 3. In addition the Captain notes, any mechanical delays enroute, giving station and length of time and cause of delay. 4. Aircraft Accident regardless of damage. 5. Engine out operation, giving engine out, reason, if established and whether propeller was feathered. 6. Use of Oxygen, deicing alcohol spare fuses etc. 7. The stewardess notes any items of fixed cabin equipment needing repair or adjustment. 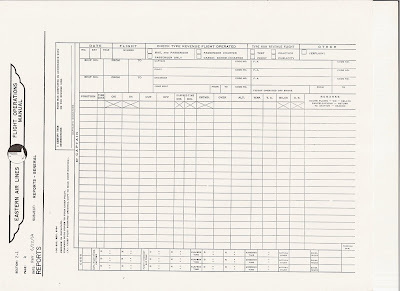 Regardless of crew changes, Flight Officers leave “Pilots Flight and Maintenance Reports” attached and on board the airplane until the flight terminates or reaches a station where the “Times” are posted. When a new crew takes over, the outgoing Captain acquaints himself with the airplanes condition and flight operation by reading and initialing the inbound report. Thanks for the memories. Most were before my time but I recognize the flight progress strips. My apologies for contacting you in such a round-about way. I am contacting you from the UK- where we produce a television show for BBC1 entitled Heir Hunters. Heir Hunters is long-standing social history series, which is currently in its seventh series. The aim of the programme is to retell the story of individuals who have died without leaving a will, in the form of a tribute film about their life. One of the individuals we are making a film about worked as an aircraft dispatcher for TWA between 1950 and 1970. I am writing to you because, having read your excellent blog post- Props, Pistons, Old Jets And the Good Ole Days of Flying- I was wondering if you could suggest where I might be able to obtain some of the photos and diagrams you use to illustrate your blog. I am keen to show visually the details of the work our gentleman carried out in the ATC, but am struggling to find old pictures we can use. Please drop me an email at zoee@flametv.co.uk. Any assistance you could give me with this issue would be most gratefully received.